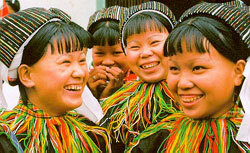 Vietnam is a multi-nationality country with 54 ethnic groups.  The Viet (Kinh) people account for 87% of the country’s population and mainly inhabit the Red River delta, the central coastal delta, the Mekong delta and major cities. The other 53 ethnic minority groups, totaling over 8 million people, are scattered over mountain areas (covering two-thirds of the country’s territory) spreading from the North to the South. Among ethnic minorities, the most populated are Tay, Thai, Muong, Hoa, Khmer, Nung... with a population of around 1 million each, while the least populated are Brau, Roman, Odu with several hundred people each. The Viet people succeeded in establishing a centralized monarchy right in the 10th century. The Cham people once boasted a flourishing culture early in the history. The Tay, Nung, and Khmer peoples had reached high levels of development with the presence of various social strata. The Muong, H’mong, Dao, Thai peoples... gathered under the rule of local tribal heads. Many ethnic groups divided their population into social echelons, especially those who lived in mountainous areas. A number of ethnic minorities had mastered some farming techniques. They grew rice plants in swamped paddy fields and carried out irrigation. Others went hunting, fishing, collecting and lived a semi-nomadic life. Each group has its own culture, diverse and special. Beliefs and religions of the Vietnamese ethnic minority groups were also disparate from each other. However, a fundamental solidarity among ethnic groups has been established on top of this difference as a result of a centuries long cooperation on the soil of Vietnam. Right in the first century of the history, a mutual supplement in economic relationship between lowland people and mountainous people was formed. This solidarity had been unceasingly strengthened during wars of resistance for defending the country. Through the shared struggle for defending and building of the country and the mutual assistance for co-existence and development, a common community between the Viet people and other ethnic minority peoples had been established and continuously consolidated and developed. Nonetheless, an evident gap in the material and moral life has indeed still existed between peoples living in the deltas and those living in mountain areas as well as among ethnic minorities themselves. The Vietnamese government has worked out specific policies and special treatments in order to help mountainous people catching up with lowland people, and made great efforts to develop and preserve traditional cultural identities of each ethnic minority group. At present, the programs of providing iodized salt for remote villages, equipping village’s health care and hygienic station, fighting malaria, building free schools for ethnic minority children, settled agriculture and fixed residence, and projects of creating new writing scripts for minority peoples and studying and developing traditional culture of each ethnic minority group... have obtained satisfactory results.